In the previous posts I discussed the difficulty of regulating low-carbon building development and transformation; and the move towards voluntary programs in this area. In this and the next two posts I will address three dominant designs of voluntary programs for low-carbon buildings I have studied in Australia, India, Malaysia, the Netherlands, Singapore and the US. This post is about the most popular voluntary program for low-carbon building development and transformation: certification and classification. These are commonly addressed as “benchmarking”, “labelling” or “rating”. But, as I will explain, these are all sub-types of certification and classification – and they make certification and classification a muddy business. Anyone who is slightly interested in low-carbon building development and transformation is familiar with building certification and classification. These voluntary programs are built on a simple and elegant design. They allow for the assessment of a building’s environmental sustainability and other credentials against a set of criteria. Normally these criteria move well beyond mandatory building regulation and construction codes. Upon assessment a certificate is awarded indicating how well the building performs in complying with those criteria. A building certificate fulfils an important function in bridging low-carbon building supply and demand. The certificates gives consumers of these buildings certainty that their building meets specific criteria. And they give suppliers a means to distinguish their buildings from those of their competitors. Building certification and classification was first applied in the United Kingdom in 1990. Here the Building Research Establishment launching BREEAM – the BRE Environmental Assessment Method. It allows property developers and property owners to make visible how their buildings move beyond mandatory sustainability requirements. Under BREEAM, an external evaluator assesses buildings against a set of rules (including aspects such as energy use and carbon emissions) and awards credits for compliance with rules. The more rules met, the more credits awarded. Based on this assessment a certificate is issued stating the sustainability credentials of that building. Other organisations quickly followed suit and around the globe hundreds of certification and classification programs for low-carbon building development and transformations are in force. Well known examples are LEED (applied throughout the world), Green Star (predominantly applied in Australia) and Green Mark (predominantly applied in Singapore). While the basic design underlying certification and classification programs is simple and elegant, the full suite of programs introduced over the years is all but simple – let alone elegant. Certification and classification programs come in three varieties: benchmarking, rating and labelling. These different forms of certification and classification make it very complicated to understand what can be expected of a certified building. Benchmarking is the simplest approach to certification and classification. Certification based on benchmarking communicates that a certified building performs better than the average building in a sample (the benchmark) but does not specify how much better it performs. A typical example is EnviroDevelopment in Australia. The program allows for certification of buildings and development projects in different categories: energy efficiency, water efficiency, material use, consideration of ecosystems, reductions of waste sent to landfill, and community governance and engagement. For each category, certification can be obtained by meeting specific criteria that result in a number of credits. If the number of credits required for a category is achieved the building or development project is certified in that category. Different coloured leaves are used on the certificate to indicate the categories of certification achieved. Within these categories the program does not distinguish in buildings or development projects that perform better or worse than others in the program. Rating moves on from here. It uses performance data to certify the relative performance of a building within the set of buildings certified within the program. Identifiers such as stars or colours are often used to indicate this relative performance – the higher its relative performance compared with other certified buildings, the higher the number of stars awarded, indicating the specific class of certification. Rating arrangements require a database and statistical analysis to come to such rating, whereas benchmarking only requires a baseline. Rating arrangements often certify individual performance indicators – for instance energy efficiency, water consumption or carbon emissions. An example is the National Australian Built Environment Rating System. It assess the energy or water performance of buildings, and issues certificates in six classes using a star rating to highlight differences among certified buildings. If a building is certified for energy and water performance two different certificates are issued. Labelling is the most complex form of classification – and the most widely applied for low-carbon building certification. Like rating, it certifies a building in a performance class to indicate relative performance compared to other certified buildings within the program, but a major difference stands out. Labelling often takes a “holistic” approach. It does not certify energy efficiency or water consumption or carbon emissions, but seeks seek to classify buildings based on overall performance. Credits are normally awarded for sustainability credentials in different categories, including energy performance and carbon emissions, but also project management and transportation. Often different weights are given to the categories – for instance, credits for energy efficiency weigh more than credits for water efficiency – and the final score represents a summarised weighted outcome of all credits. This implies that a building with, for example, poor performance in term of its water consumption but good performance in terms of its energy consumption might still achieve an overall high class of certification. As with rating, identifiers such as stars are used to indicate the class of certification. To make things ever more complicated, different certification and classification programs allow for different stages of a low-carbon building development projects to be certified. Some certify the building based on its design (“as designed” certification), others do so based on the building that is actually constructed (“as built” certification), and yet others certify buildings only after a certain period of use (“in operation” certification). Many programs allow applicants to choose based on what stage they wish to have their buildings certified. The first two forms are dominant, and the latter form was developed in response to critique to these two forms: Buildings are often not built in compliance with their (certified) design, and during construction many flaws might be made that program administrators or their inspectors do not notice, or user behaviour may undo the sustainability credentials of a building – all of which could result in a certified design or completed building not meeting its expected performance. In sum, from the outset it is often not clear what a certificate actually implies. Does the certificate relate to design, the building as constructed, or performance of the building when in use? Does a star classification imply rating or labelling? Does a high level of classification imply that the building achieved an overall high performance during the assessment process, or is the level of classification achieved by outstanding performance in some categories that could be traded off against low performance in others? Such ambiguity makes it complex for (future) property owners and users to assess the value of a certificate. 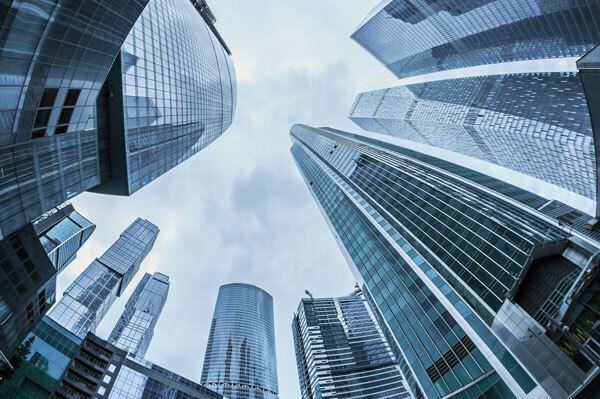 Certification and classification is popular in the absolute top-end of the construction and property sectors – new commercial buildings in the central business districts of major cities. It is in this segment of the market where property owners and users see the value of low-carbon buildings. They are often major firms that have corporate social responsibility policies in place, and owning or renting a low-carbon building is a means to show their concern with environmental and other societal issues. Certification is unpopular in any other segment of the market. There is little demand for low-carbon buildings by households and small and medium-sized businesses. They often do not see the advantage of such buildings, or do not experience the peer pressure or stakeholder pressure that large firms do. LEED, the largest and most widely applied certification and classification program in the world, has certified three per cent of all new commercial property and less than 0.5 per cent of all residential property built in the United States since the program was introduced in 2000. Energy Star Buildings, another program in the US, has certified three per cent of all new commercial property also, and Energy Star for Homes seven per cent of all new residential property since the programs were introduced in the US in 1999. EnviroDevelopment has certified six per cent of all residential property since it was introduced in Australia in 2006. More promising in terms of uptake is Green Star, which has certified 18 per cent of all new offices built in Australia since the program was introduced in 2003. Another more positive example is BREEAM-NL, the application of BREEAM in the Netherlands, which has certified some 45 per cent of all new commercial property (predominantly offices) since the program was introduced in the Netherlands in 2009. Yet, this number relates largely to buildings that have not moved from the design phase to the construction phase, and many of these certified designs may never be built. However, most of these programs rely heavily on “as designed” and “as built” certification, and issue a large part of certificates in lower classes. This puts considerable questions around the actual performance of the buildings they certify. One of the major concerns expressed by the many experts I have spoken with on certification and classification programs is that they allow for gaming of the system. Time and again they told me that developers generally seek the highest levels of certification at the lowest possible cost. Because most programs are built on labelling, they can mix-and-match the credentials of their buildings. “It is an exercise in collecting credits,” a sustainability consultant at one of the Netherlands’ leading consultancy firms explained. Another concern expressed by experts it that the majority of certification and classification programs set fairly lenient requirements. Certification is sometimes awarded for behaviour that is in line with or goes only marginally beyond compliance with mandatory regulation or conventional industry practice – LEED for example awards considerable credits for compliance with the ASHREA standard that is a conventional code for building energy efficiency in the US. Experts were also critical of programs that issue certificates based on building designs or for buildings that have just been constructed. More often than not contractors deviate from the certified building design or flaws are not discovered by program assessors, which means that the performance of buildings is well below their level of certification. Certification and classification is a muddy but profitable business. There is a profitable market of large and often international firms as well as governmental agencies that require low-carbon office space. Certification gives them “certainty” that their buildings meet standards that are “well beyond” mandatory building regulation and planning codes. Classification allows them, further, to highlight how progressive they are compared with others. But the programs themselves are a profitable market too. It is not surprising that the US Green Building Council is aggressively exporting LEED, that BRE does so for BREEAM, and that the Green Building Council of Australia does the same for Green Star. They earn much income with issuing certificates and training inspectors that carry out monitoring and enforcement tasks. It is therefore not striking to see that organisations such as the USGBC and GBCA present a carefully groomed narrative of success. Their websites, their conferences and their brochures all highlight the advantages of certified low-carbon buildings, as well as the “major uptake” of their certification and classification programs. This narrative of success mainly seeks to attract more participants – and confirms to existing participants that they are doing well by doing good. To make these programs live up to their promises, a rapid change is necessary. We should stop accepting confusing labelling programs that allow for gaming. We should stop accepting “as designed” and “as built” certificates, because they do not say much about the actual performance of a certified building. And we should stop believing that certification and classification has become the new norm in the construction and property sectors. It simply has not. Dr Jeroen van der Heijden is senior research fellow at Australian National University and associate professor at the University of Amsterdam. Through his research he aims to improve local, national and international outcomes of urban governance on some of the most pressing challenges of our time: climate change, energy and water use, and a growing and increasingly urbanising world population. However your analysis is about 5 years outdated and incomplete. Both LEED and Green Star rating systems have developed programs for existing buildings that use actual operational data to determine holistic sustainability performance. A quick look at their websites would have given you more up to date information to use in your article… disappointing. Thanks for your comment. You will have noticed that I mention the “in operation” category in this post. So hopefully it’s less disappointing, perhaps on second reading, than you state. That being said, having “in operation” certification in place and seeing it used are two completely different things. Unfortunately most certificates under LEED and Green Star are still issued in the “as designed” and the “as built” categories. See the same sources as you cite. Are the systems perfect? – no. Have the systems improved the design of buildings? – yes. How can we make the systems better? That’s the challenge. Great series – looking forward to the next part and hopefully your ideas on ways to improve the systems. Cheers! Thanks Lawrence. You’re absolutely right. These instruments aren’t perfect, but they have set some changes in motion. I’m happy to see that change, but am worried about the slow pace as well as the scalability of the best practices they have achieved. The next three posts are further unpacking this “change vs pace and scalability” dilemma. The final two posts will present some ideas for improvement of these instruments. Built environments need a new paradigm for complete and effective protection of designed/built assets. Certification types and regimes promote a ‘green building’ wallpaper effect, that limits transparency and greater public appeal. Perhaps ‘green’ will be erased to embrace clean, just like GBCA’s ‘Products & Services did in replacing ‘Green Star’ with ‘Sustainability’. Constancy of and adaptation to change suggests “certainty” is a concept not worth promoting, just like “sustainability”. We need effective solutions. Thanks Ecojag, we’ll talk about this a little more on Tuesday.